A few years ago on a trip to New York City, I discovered Drybar. I know that blowout places like Drybar have been around for a while, but they hadn't really made their way to Pittsburgh. But after visiting Drybar once, I was hooked. My hair is thick, but gets oily pretty quickly - I usually have to wash my hair daily. And since I can't really style my own hair easily, I have to stick with blow drying it and leaving it straight. So learning that there was somewhere I could go where they'd wash and style my hair - and the style would still look good with day 2, unwashed hair - was amazing! I'm always impressed by how easy it is to get and make an appointment; you can do it all online or in the app, and you can cancel up to two hours before your scheduled appointment time with no penalty. 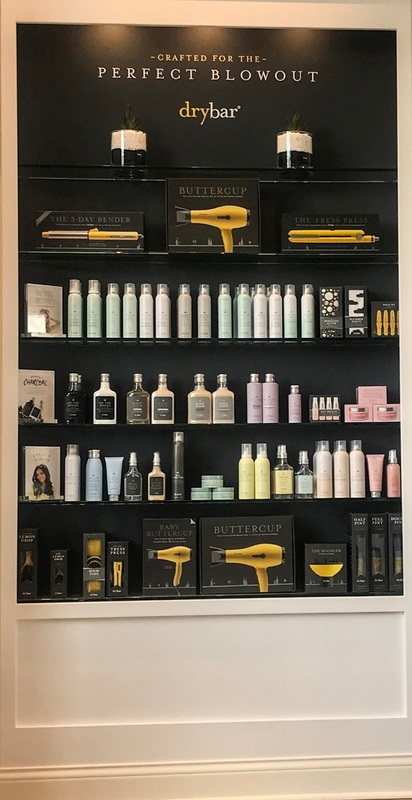 Until recently, Drybar was a vacation treat for me, because there was no Drybar here in Pittsburgh. Happily, though, a location opened over the summer, and it turned out to be only 15 minutes from my house. I had another wedding to go to this weekend, so I was excited to have and excuse to get a blowout. 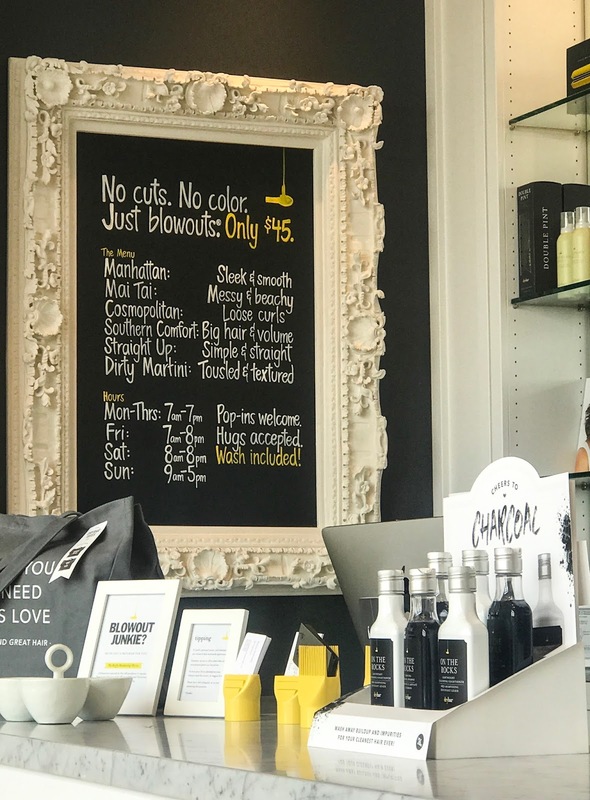 I love that Drybar is so standardized - the store looked just as cute as the other locations that I've been to, and I knew what to ask for so that my hair turned out the way I like it. I'm used to having to get lifted out of my wheelchair when I'm getting my hair washed, because the sinks are too low or they're permanently attached to the chair you sit in. When I went over the weekend, though, they found a way to move the chair out of the way so that I could pull my wheelchair in front of the sink and have my hair washed without having to get out of my chair - and they offered all of this without me having to ask them. This made it so much easier for me, and just added to the rest of the amazing experience! 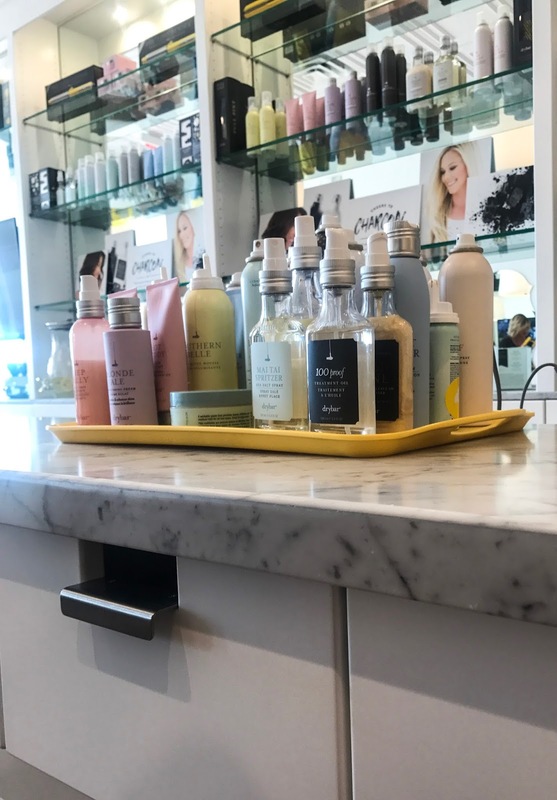 If you get a chance to check out a Drybar, I highly recommend it! It's always a fun time and my hair turns out looking great.